Dr. Fadi Edmond Elzayat is the leading dentist at A-Dental Center in Hollywood. His primary goal is to help patients obtain and maintain a healthy smile. This can be done with proper dental care and regular appointments with his team of professionals. Dr. Fadi Edmond Elzayat works closely with patients to develop a treatment plan for their smiles and to ensure they are free from problems such as decay and periodontal disease. After we lose our “baby teeth,” our permanent teeth erupt. An erupted tooth needs to be properly cared for. It can last a lifetime if patients take the time to maintain their oral health and wellness. If patients do not maintain good oral hygiene practices, they may notice that their erupted tooth can lead to decay and disease. An erupted tooth can lead to gum disease if it is not brushed and flossed every day. Additionally, it is essential that patients maintain regular recall appointments twice a year with Dr. Fadi Edmond Elzayat to check for the early indications that decay or disease has developed. The earlier these conditions are caught, the easier it is to address them before they become a serious problem. If an erupted tooth has developed gum disease, it is important to seek treatment through A-Dental Center. A thorough cleaning may be needed to remove bacteria, plaque, and tartar from the gums and tooth’s surfaces. If decay is noticed, it must be addressed with fillings. 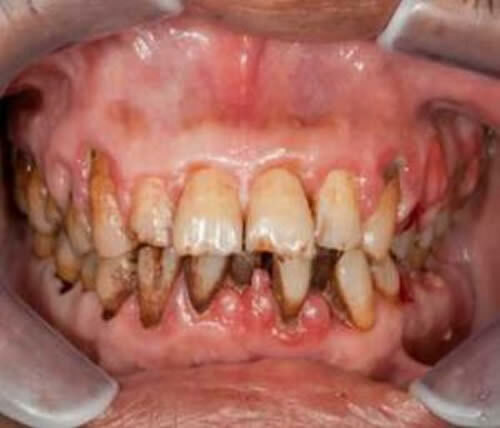 Patients must then work with their dentist to discuss proper maintenance of the smile to ensure they enjoy optimal oral health from here on out! Erupted teeth need to be taken care of so they can last a lifetime as intended. If you are dealing with problems regarding your smile, now is a wonderful time to work with A-Dental Center and Dr. Fadi Edmond Elzayat to learn about the advantages of proper oral health care with a dental team that is committed to your dental health and wellbeing.